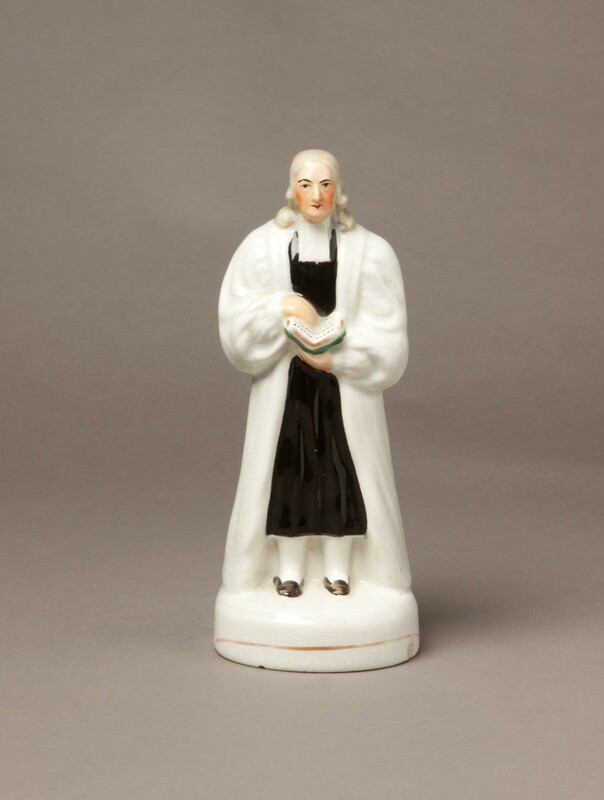 A Victorian Staffordshire pottery figure of John Wesley. JOHN WESLEY 1703 – 91 Leader of the Wesleyan Methodist movement in England. 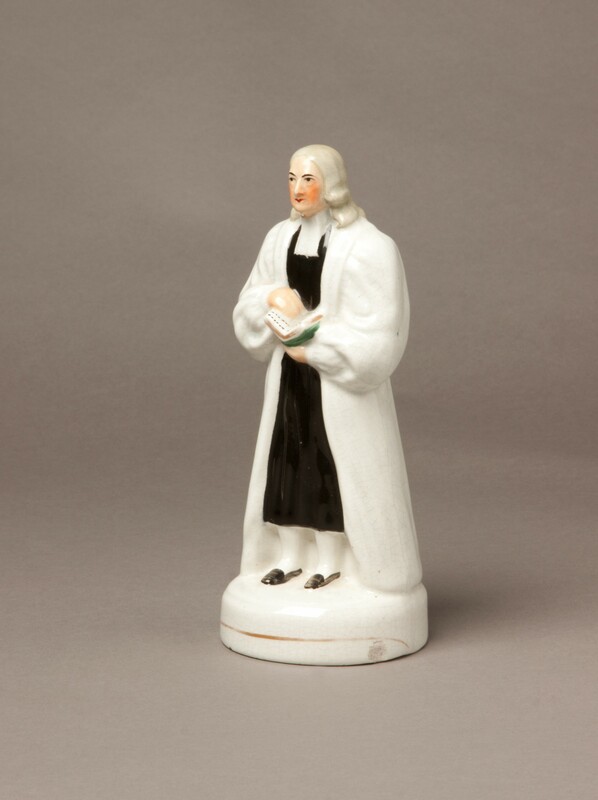 Staffordshire figures of eminent religious leaders were popular in Wales during the 19th century. Welsh Methodism was Calvinistic in theology and followed a different path from that of the Wesleyan Methodism of England, nevertheless, John Wesley was greatly respected in Wales. He preached his first sermon in Wales on the village green in Devauden, Monmouthshire.